John Dacosta is fortunate enough to have been the lighting designer for the Jamaica Jazz and Blues Festival for the past five years. Not a bad place to spend a late January. For this year’s festival, a kick-off celebration as Jamaica celebrates 50 years of independence, Dacosta turned to the design ease of Martin Professional EC-10 LED video panels. A large EC-10 wall upstage center provided a stunning backdrop while graphics spilled onto surrounding columns of Martin LC Series™ LED video panels with MAC 101™ LED wash lights mounted under each. Dacosta also had EC-10 panels mounted around FOH for IMAG. 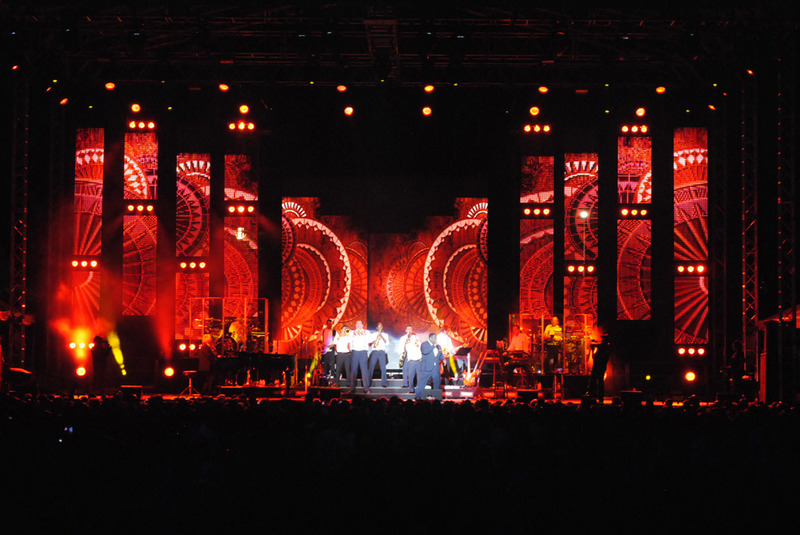 Dacosta’s design incorporated over 200 of the EC-10 LED video panels along with 48 MAC 101s. All of the Martin LED panels and 101s were delivered by Zenith Lighting of Orlando with other lighting equipment provided by PRG Orlando.